One theme that consistently shows up in the news these days is the growing student loan crisis. Americans currently owe a combined total of $1.48 trillion in student loan debt, the second-highest debt category in the US — right behind the total owed on mortgages. On an individual level, the average college graduate from the class of 2017 left school with a brand new diploma — and roughly $39,400 in student loans. Although those loans typically don’t start coming due until six months after graduation, that’s not very much time to get your career on track so you can afford the payments. There are limitations on the types of student loans that can be forgiven or discharged, so do your research before assuming you’re eligible (or not eligible). On the downside, changes to your student loans or financial status could impact your personal taxes. For example, regardless of the reason for the discharge or cancellation, the amount of student loan debt that will go unpaid could be taxed as income. Even in cases of death, the decedent’s estate may still be responsible for paying taxes on the amount of remaining student debt at the time of death. We’ve put together a list of some of the ways student loan debt may affect your taxes to help you plan ahead for any changes. Traditional Chapter 7 (liquidation) or Chapter 13 (reorganization) bankruptcy filings do not allow you to discharge student debt by default. But, with additional steps — known as adversary proceedings — you may be able to oppose your lender in court. If your debt is then discharged, you may end up owing taxes on the discharged amount, which is seen as income. However, bankruptcy courts will help determine payments that cause “undue hardship,” and taxes may be factored into that. With the help of an experienced bankruptcy expert, like our top-rated options below, the process can often go a lot smoother. Before filing for bankruptcy — which should always be a last resort — you may want to explore your options for credit repair or debt counseling, especially if non-dischargeable student loans are the reason you’re considering filing for bankruptcy. For millennials, there’s a very real concern about carrying student debt all the way to the grave. Many have probably wondered if their loved ones would be left with the burden of their student debt, whether old or new, when they pass. This really all comes down to the type of loan you hold. If it is a federal loan, then yes, your debt will be discharged when you die. However, private loan holders might have a more difficult time. While some private lenders won’t hold your next of kin liable, others may, particularly if a parent or family member cosigned the loan. To find out for sure, read the agreement you signed when you accepted the loan. If the total loan amount is discharged, your estate and/or heirs can be held liable for the cancellation of debt (COD) income. In cases of permanent disability resulting in an inability to work, many of the same rules will apply. A good CPA may be able to help you find a way to avoid tax liability for any discharged debt. Taxes are far from the most romantic element of holy matrimony, but they are, nonetheless, an important consideration. If you are marrying soon, be aware that filing jointly may increase your student loan payments. In particular, if you have an income-based loan payment plan, joint filing can unfairly skew the perception of your income. After marriage, your monthly payment may become based on two incomes, rather than one. This prevents many taxpayers from reaping the financial benefits of joint filing. While discharging your loan can eliminate this particular hurdle to filing joint tax returns, remember that discharged student loan debt may be counted as income in some circumstances, potentially adding to both of your tax bills if you file together. Those who choose to work in public service, such as an elected official, agency staff member, or schoolteacher, may be eligible for student loan forgiveness after a certain number of years. Anyone who makes 120 on-time loan payments, while working full time at a non-profit or government agency, may qualify. 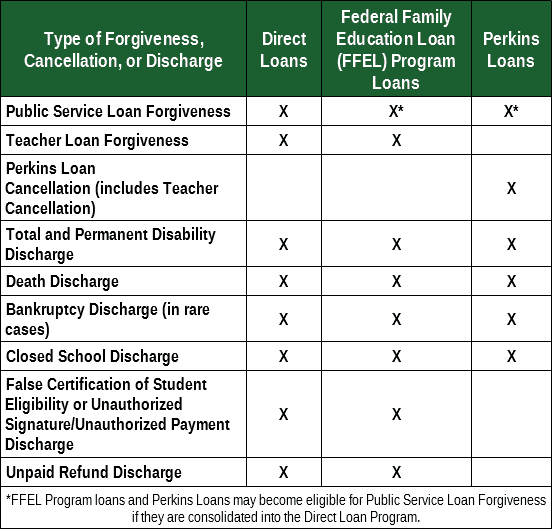 And, even better news, anyone who has their loans discharged under the Public Service Loan Forgiveness and Student Loans Forgiveness for Teachers programs, that discharged debt is tax exempt. The bad news: anyone with a larger-than-usual loan amount could be saddled with a big tax commitment. A borrower on an income-driven plan may be responsible for income tax on the forgiven loan balance the year the repayment period ends. If you’re still paying costly student loans, every penny counts. And, while most people look at tax season as an annual burden, this time of year actually offers a limited money-making opportunity. Specifically, if you paid interest on a student loan last year, you can deduct it from your taxable income. Anyone who pays student loan interest and earns less than $80,000 is able to deduct up to $2,500 from their taxes. This only applies, of course, to those still making student loan payments. If you cancel your loan, you may be increasing your taxable income by almost $3,000. 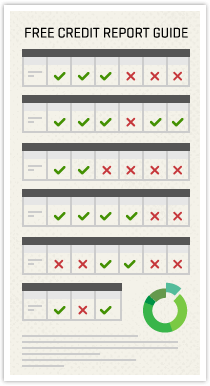 Depending on your financial situation, this might be enough to move you into a more expensive tax bracket. You may have graduated from college, but that doesn’t mean it’s too late to learn an important life lesson: student loan cancellations can influence your tax burden. Keep the above considerations in mind — and maybe even consult a tax expert — before seeking student loan cancellation. If you’re interested in learning more about improving your financial situation, including help with credit, enlisting the services of a credit repair company may be invaluable. Professional credit repair can sort out credit woes by helping you identify, and eliminate, false or misleading credit items that might be dragging down your score.